Of all the business functions at your company, supply chain’s potential impact in a post M&A environment can be one of the most significant. But to optimize supply chain’s impact, you need to prepare well before an M&A event. I’ve written about the role of supply chain in M&A’s before – in a specific case study (the Kraft-Heinz merger) and from a boots on the ground point of view. 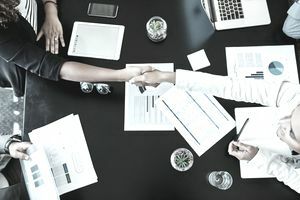 In this article, I’ll provide a guide on preparing your supply chain for an M&A, and then share how you and your newly-formed company can get the most out of the M&A, using supply chain. Why should you prepare for an M&A event? Mergers and acquisitions occur for one basic reason—to increase the earnings of the new entity. Earnings can be increased by growing revenue or by cutting expenses. Revenue growth, in the short term at least, isn’t realistic. When Company A merges with Company B, the short-term revenue of the new entity is A plus B, minus any overlap. (This advanced mathematical analysis also holds if Company A acquires Company B.) Therefore, in order to increase short-term earnings, expenses will need to be cut. Human capital consolidation is the area that most people focus on when thinking about cuts (who’s going to lose their job) but supply chain’s impact to expense reduction should not be overlooked. So, to the question of why prepare for an M&A—because a well-prepared supply chain team can deliver savings and drive the increased profitability that the new entity is looking for. And if your supply chain team can deliver savings and increased profitability, you might be able to avoid that human capital consolidation part. Who should prepare for an M&A event? Should the company acquiring or the company being acquired do the detailed preparation for an M&A? Both. In some cases, you won’t know if your company is a takeover target or if your company is looking to take someone over. In other cases, you might know that your company’s on the block. Or that your company has a few billion dollars sitting in offshore cash just waiting to be spent. In any case, you and your supply chain need to be ready. Assume you’re the supply chain lead who’s going to take this project on. Your first step is to identify your triage team. The triage team is a quick reaction force, on the ready to assess any M&A activity. And to recommend a course of action. Based on whether your company is the acquirer, has been acquired, has spun off a division or any number of other scenarios—the triage team calls the larger team to action. The size and scope of the M&A is also gauged by the triage team. Is this a global acquisition? Does it involve only a single facility? Those answers will help to drive the next steps. The triage team should include informed stakeholders including Supply Chain, Finance, Legal, Manufacturing, Engineering and so on. The triage team will designate which members of the larger supply chain integration project task force need to be called to action. This will be based on scope, geography and the functions that are impacted—i.e. sourcing, supplier management, legal, logistics, IT, etc. And the primary tool that you’ll need to prepare before any of this happens is your M&A supplier database (or spreadsheet). This database should include the following information for each of your suppliers: location, contact, contact info, products/services supplied, are products/services proprietary/unique (yes/no), annual spend, supply agreement (yes/no), agreement termination date, early termination clause (yes/no), termination without cause (yes/no), termination notice. All this information should be searchable, filterable and sortable. Rank the list by spend. And then re-rank the list by importance (you might have a low spend supplier that is more important than a high spend supplier—i.e. a chip supplier that makes a critical piece of hardware that’s proprietary but not expensive). This list is going to be one of the most important post-merger documents your new company will need but you need to build it now. The company on the other side of the M&A should be packing a similar list. Your supply chain integration project teams will compare lists and figure out what actions to take (i.e. where to consolidate your supply base). With your robust but easy-to-use supplier lists, you can recommend quick hits—like indirect suppliers of office supplies, travel services, janitorial services, landscaping, phone and Internet services and so on. Then move on to direct spend suppliers—contract manufacturers, raw material suppliers, etc. All suppliers are in play in a post-merger world—third-party logistics providers, freight forwarders, parcel shippers and on and on. The triage team members, the supply chain integration project team members, their roles and responsibilities, your supplier database and each step to take should be documented in a supply chain M&A playbook. This allows for processes to stand even as people rotate in and out of jobs. Your suppliers are going to know about this M&A. They will want to find out where they stand in the new world order. Part of having effective post M&A activity is to not reveal plans too early. Avoid the temptation to reveal your strategies over a three-martini lunch (if you live in the 1970s) or a Starbucks latte. And remember, your customers are going to want to get their orders while all of this is going on. Optimized supply chain is getting your customers what they want, when they want it—and spending the least amount of money possible accomplishing this. That’s the goal even in a post M&A environment. So part of the triage team’s job and the supply chain integration team’s job is to continue to maintain on-time delivery and customer satisfaction even in the midst of creating a new company.